The WK10W-01 valve is a 2/2 solenoid directional valve, spool type, and direct-acting. 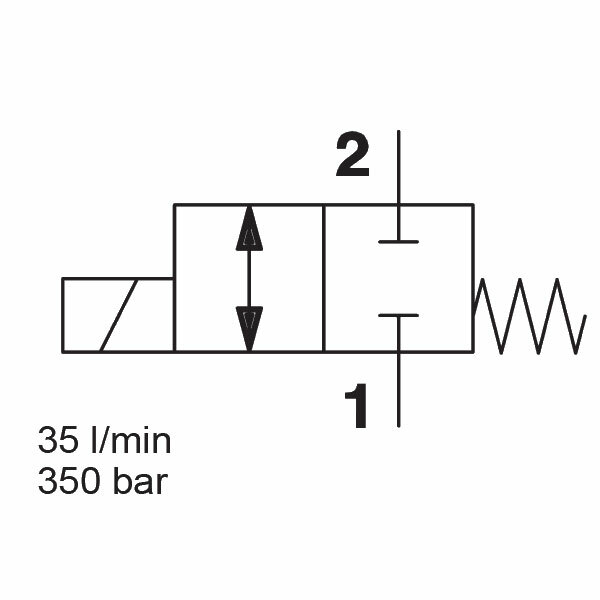 The maximum operating pressure is 350 bar. When the solenoid coil has no more energy, the valve blocks flow in both directions. When it has energy, the valve allows flow in both directions.